Description: negative : glass ; 8.8 x 13.8 cm. approx. Related works: Series: Rose series; P. 10753.; Rose postcard collection of negatives. The "Lombardy Poplar Walk" was planted in 1897 by Guilfoyle. 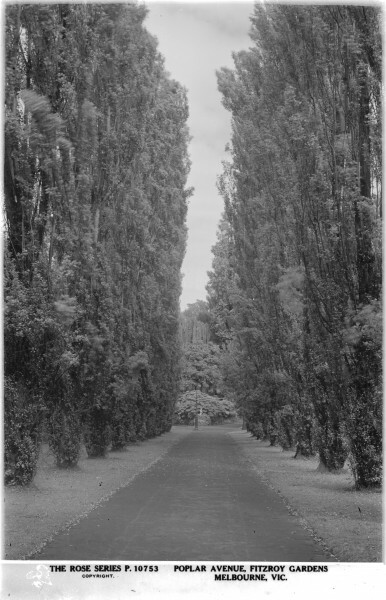 (see http://www.fitzroygardens.com/History.htm#1897 ) In this picture the trees are mature. The glass negative and the quality dates the picture earlier rather than later in the period given by the SLV above.